House prices in London have fallen year-on-year for the first time since 2009, according to Nationwide’s House Price Index. 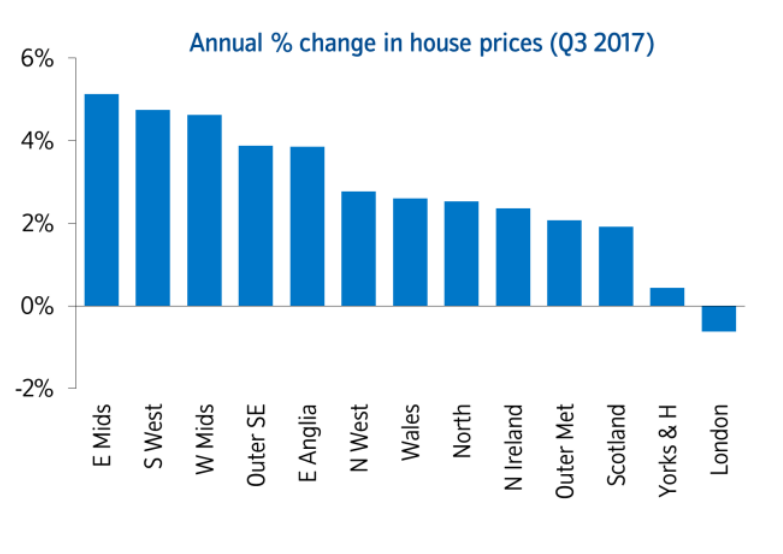 However, London was the only region to see house prices fall, and property prices in the North are now accelerating faster than in the South. Has your home gone up in value? If your home has increased in value you might be able to get a better mortgage rate. 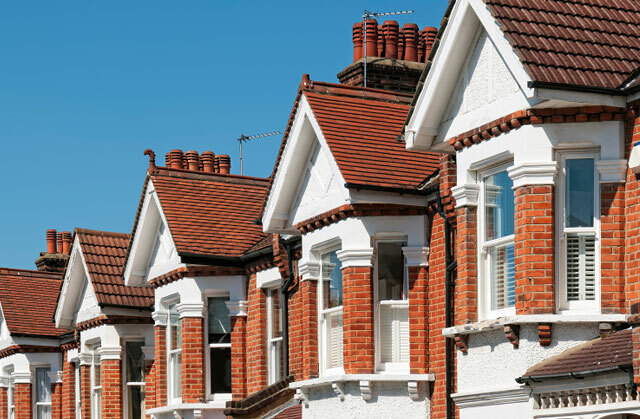 The fall in London house prices has been led by the highest value properties declining in value, according to property data company Hometrack. But the average homeowner in London shouldn’t panic just yet (unless they own some of the world’s most valuable property in central west London), as lower value properties in the capital continue to demonstrate robust growth. Across the UK house price remains stable, showing 2% year on year growth, however this is down from 2.1% last month. 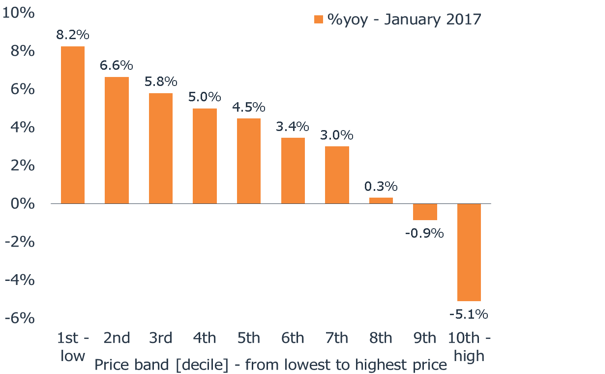 East Midlands was the strongest performing region of the UK, with prices up 5.1% year-on-year. However, the region is long overdue its time in the sun, as this is the first time since 2002 that the East Midlands has taken the top growth spot. 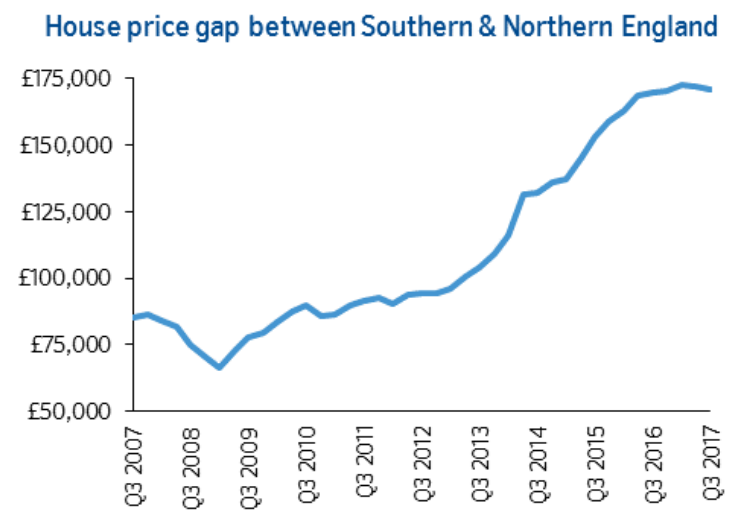 Despite price growth slowing in the South and accelerating in the north, the North has big gap to close, with homes in the south worth an average of £171,000 more than homes in the North. This disparity has more than doubled since 2008, so again, the North is long overdue some growth. If your home has increased in value you might be able to get a better mortgage rate. Different mortgage rates are available depending on your loan to value (LTV), which is simply the size of your mortgage debt compared against your home value. If you have a lower LTV you will enjoy access to better mortgage deals. The best value deals are typically available to those with at least a 60% LTV, with rates generally going up as LTV goes up. But note, lenders usually offer rates against LTV in 5% tranches (65%, 70%, 75% etc…), so if you’re on the edge of a tranche (for example your LTV is 71%) it could be worth finding out if your home has gone up in value and edged you onto a tranche with better rates. Of course all the usual caveats around remortgaging still apply; check if you have exit fees or early repayment fees on your existing mortgage and look at the booking fees of your new mortgage, and make sure it’s worth it.